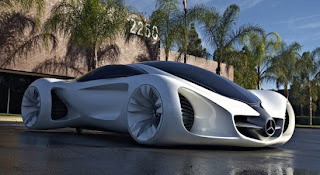 With car companies concentrating on eco-friendly engines, Mercedes-Benz has stepped up with the new Biome concept. Unveiled recently at the LA Auto Show, the Biome concept could see elements in production as early as 2015. With competition from other automakers, Mercedes-Benz is committed to produce a star in the "green" market. With talks of a mid-engine vehicle based on the Biome, it looks like one way or another this unique Mercedes-Benz concept will make its way to Seattle in some form!